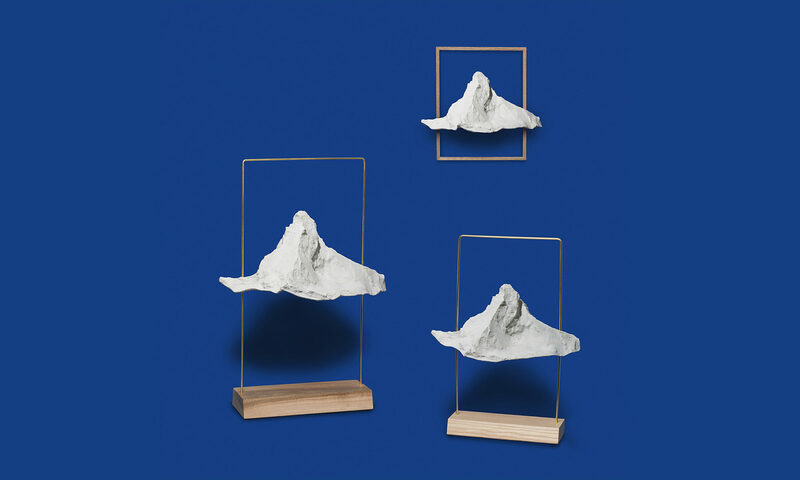 Matterlight is a contemporary table lamp with the shape of the famous Swiss mountain Matterhorn. This lampshade is a real model of the peak. It’s possible with a 3D scan by drones through Sensefly company and a modelisation provided by PIX4D, whom we would like to thank. Like a paper in the wind, the lampshade seems flying without fixations. Made with a special Bio resin combining sugar, rapeseed, and other bio additive, this lampshade is unbreakable and toxic-free. Moreover, it don’t use any petrochemical based compound. The polished brass tube frame of the lamp works like a picture. It guides the world famous peak to it best profil to the viewer. About materials: we use the greenest possible. We have selected for the base a local ash tree, and the biggest parts of the lamp is made with Bio resin made with Colza, sugar and other secret bio additives. In addition, we take care to use the most environmentally friendly materials possible for our packaging, by excluding plastics. About electricity: 2 LED 5W warm white lamp lights up the mountain from inside. 1 meters of a black cable with a switch supplies the lamp in 12V. Personal gift: On demand, we are able to engrave with laser a logo, or a text on the frontside of the base. It become a personalized gift!